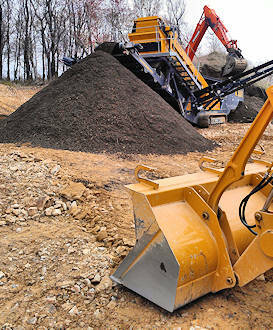 Shaffer Excavating is a Ligonier, PA based company in business since 1976. The business focuses on residential and commercial excavation including site preparation, foundations and footers, utility installation, driveways, land clearing and septic systems. Shaffer Excavating also provides wholesale topsoil and delivery plus mobile screening services. Owner Operator Philip L. Shaffer was raised on a family owned farm in Ligonier and began running equipment from an early age. His family business background taught him several life-long lessons such having a strong work ethic, treating customers fairly and learning to improvise and diversify for the long haul. Often the general contractor’s name is highly recognizable as he prominently displays his sign in front of the project. Many don’t realize that the “foundation” of any good project begins with proper grading and digging of the foundation. The installation of utility lines along with water and sewer lines are the basis for living in a maintenance-free, comfortable home or office for many years after the project is complete and this is where Shaffer excels. Philip Shaffer’s favorite saying … “We are professionals”. 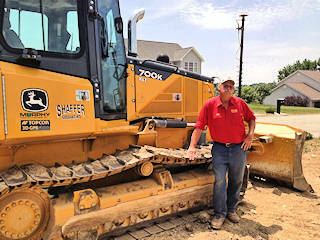 Call Shaffer Excavating or send Phil an e-mail when you are lining up your next project or development. He is the professional. At Shaffer Excavating, we take pride in the quality of our work and remain dedicated to ensuring that our customers are completely satisfied with our services. When you choose Shaffer Excavating, you can rest assured that your project will be handled with these core values in mind: quality, integrity, pride and professionalism.